Users who sign up at FanDuel for sports betting will be subject to the FanDuel Sportsbook rules and regulations. These rules will require users to follow certain instructions when placing wagers and require certain terms and conditions to be followed. Read the following rules and regulations to ensure you create and maintain a FanDuel account which runs within the legality of the site and understand how your account is protected. As an authorized sportsbook by the New Jersey Division Of Gaming Enforcement, FanDuel Sportsbook is a fully legalized sports betting platform within the boundaries of NJ. While the fantasy division of the sportsbook is available all over the US, only New Jersey users may currently access the sportsbook. When placing sports bets at FanDuel, New Jersey-based users will be allowed to access their account as long as they are geo-located within the bounds of the state of NJ. To ensure that users are geolocated within the region users will be required to download the GeoComply plugin which alerts the FanDuel when a user is outside the limits of the State. The plugin is mandatory for placing sports bets. The FanDuel legal regulations also require users to be over the age of 21 to enjoy sports betting on the site. The repeal of PASPA was not only a landmark decision for FanDuel but also every online sportsbook looking to enter the US market. The repeal in early 2018, allowed sportsbooks to legally give US bettors the option of sports betting in both land-based and online sports betting platforms. For FanDuel, in particular, it meant that the brand was not allowed to break away from being a strictly fantasy sports betting site into a dual-betting platform which also allowed users to place sports bets. It should be noted that users can use their FanDuel accounts to both bets on sports and to play fantasy contests. New Jersey is the first step in FanDuel’s and many other sportsbooks plan to enter the US market for sports betting. While the platform is currently only available for users geolocated in New Jersey it is expected that the brand will expand in the near future into other states. With an already extremely large user base in the US being the second biggest fantasy sports site in the country, it is likely that FanDuel will be able to pick up a large number of sportsbook users and gain a head start in the race to become the leading online sportsbook in the US. FanDuel is a trusted brand with years of experience in the US, providing users with top betting experiences with secure and easy-to-use software. Acquired by the PaddyPowerBetfair a few years ago, one of the world’s leading betting brands, FanDuel will have every advantage during the setup process in the US. The site is already legally accepted by the New Jersey Gaming Enforcement Division and will likely be one of the first sportsbooks to spread across the US. The main advantage FanDuel has over other sportsbook is the ability to both sports bet and play fantasy. While many online sportsbooks are expected to launch in the US market very soon, FanDuel will be one of the very few that will have this advantage. FanDuel should also provide top odds and a collection of sports that can compete with any leading sportsbook in the market. As a fantasy-based brand, users can expect a variety of prop bets that other sportsbooks won’t have and a number of special betting options. A Welcome Bonus may also be available in the future welcoming users to the site and providing a head start to the first-time bettors. When you put money on the FanDuel Sportsbook you can be assured that your account security is taken very seriously through the incorporation of the FanDuel Sportsbook rules. FanDuel also uses a high-tech encryption software to stop any potential hackers from getting ahold of any personal details or funds linked to a user’s account. For extra security, users may take steps to add more layers of verification when logging into their account. 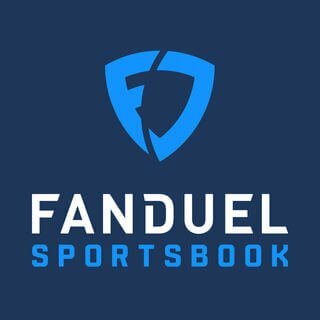 Be sure to look over the FanDuel Sportsbook rules and contact the customer support team for any issues you may be having regarding the security of your money.